Joshua Tree desert contains a multitude of surprises. There is no denying the small, California town has unparalleled quirk and charm. With its Dr. Seuss like trees and the rouge, transplant community that has set up shop, it might come as no surprise that this off-the-beaten-path desert oasis has some of the best food, well, anywhere. From authentic Thai cuisines to home cooking and organic, plant-based meals (and everything in-between) you will not go hungry in this Southern California town. Check out our favorite places to eat, drink and be merry in Joshua Tree below. 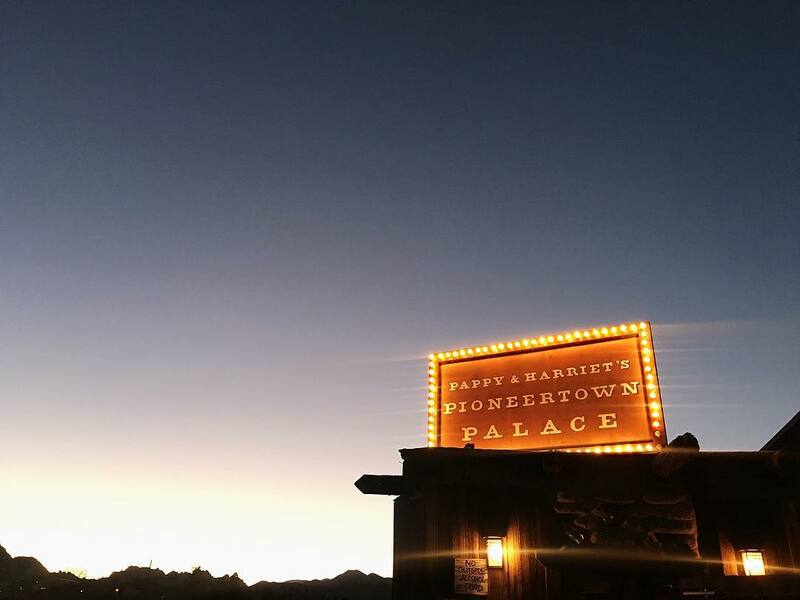 Make your way to Pioneertown’s premier night-life spot while in Joshua Tree Thursday – Monday. This joint is known for its killer musical guests and you probably guessed it, honky-tonk dancing. This once outlaw biker burrito bar is now a place the young and old alike come to kick back, drink a beer and listen to live music. Notable desert performers at Pappy and Harriet’s include The Arctic Monkeys, Sean Lennon, Vampire Weekend, Ricki Lee Jones and Robert Plant. If you’re looking for food, check out their iconic bison burger and chili fries. If you want lighter fare, the cobb salad is an excellent choice. Indian food and pizza in the middle of nowhere? Yes please! If you look up reviews on Sam’s Indian Food, you’ll see that many people opt to drive two hours from Los Angeles, one of America’s most famous food cities, for the dishes at this tiny restaurant located next to a convenience store. The oven, an authentic charcoal and clay tandoor oven imported from India, is just one of the many ways Sam’s is committed to authenticity. When you go you must order the Gobhi Pranatha, a mouth watering tandoori flatbread stuffed with seasoned cauliflower. 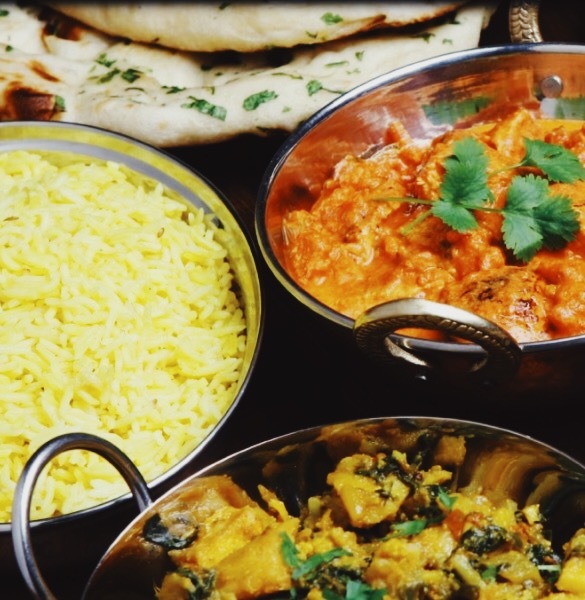 If you prefer vegetarian Indian dishes we highly recommend the Daal Makhni or the Channa Masala. Looking for meat? Don’t pass up the Chicken Makanwala which consists of premium chicken cooked in a delicious sauce of tomatoes, butter and fenugreek. And who can forget the pizza in “Sam’s Pizza.” The classic Sam’s combo pizza is a meat-lover’s dream, packed with pepperoni, Canadian bacon, mushrooms, black olives and sausage. You can opt for an India style pizza that ranges from mini ($4.99) to large ($9.99). Make your way to Frontier Café for all your lunch needs. This corner café is nestled in a perfect location if you’re making the trek to Pioneertown. Indulge yourself in a variety of meal options – sandwiches, bowls, salads, sides, you name it, Frontier’s got it. We recommend the town favorite Cuban Sandwich if you’re feeling pretty hungry. Want something lighter? Enjoy the green dream wrap, packed with all those healthy greens, hummus and goddess dressing. Get the kiddo’s a grilled cheese sandwich (add avocado!) and if you’re vegan, fear not. The vegan BLT (made with satin) dare we say it, is better than an actual BLT. 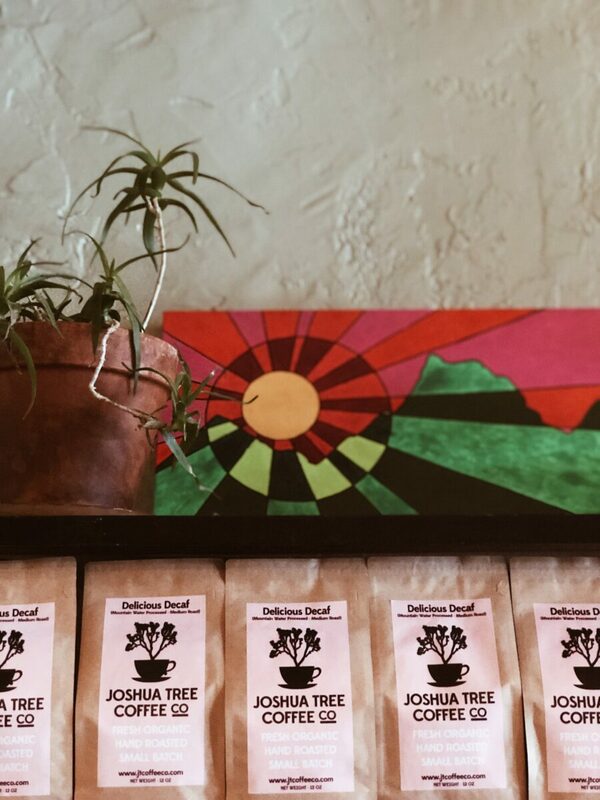 If you’re unable to get across town to the famous Joshua Tree Coffee Company, you don’t need to worry. Frontier is a carrier of the local coffee! You’ll even be able to take a bag home with you. If you make your way to Natural Sisters during peak season, get ready to wait in line for one of the best meals you’ve ever had. We promise, it’s worth it. The locally run establishment serves comfort food with a natural twist. Their ingredients are organic, plant based and locally sourced. The dishes are innovative and mind-blowing delicious. 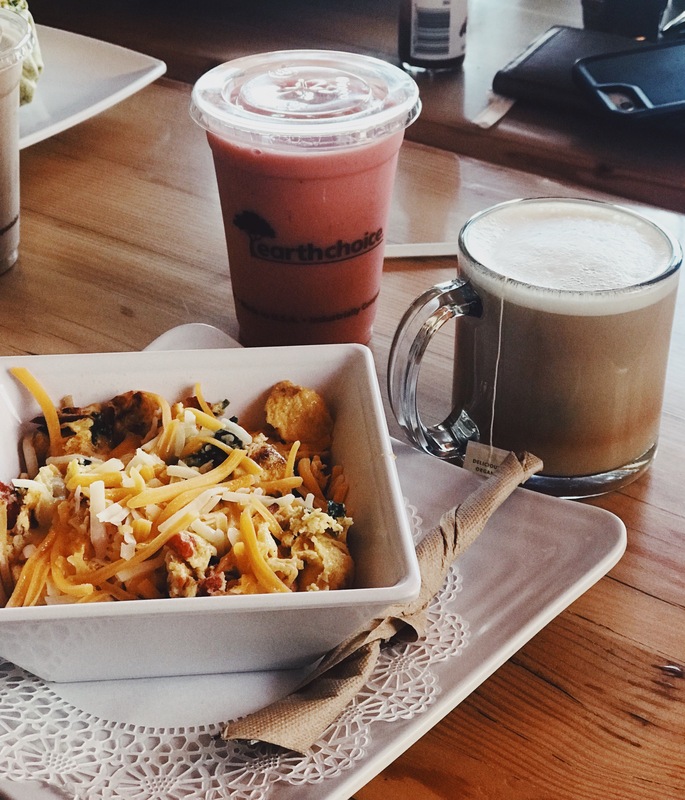 Located near the entrance of Joshua Tree National Park, this café is ideal for quick grab and go juices, smoothies, coffee, tea, wraps, breakfast, lunch, bagels, salads… the list goes on and on! Come back often as they offer daily specials (we tried the veggie hash and it was to die for) and over the top drink options. From a London fog latte to locally brewed Kombucha, you can have it all! Known for their home cook’n, this quaint establishment is arguably one of the best comfort food restaurants in America. JT Country Kitchen serves breakfast all day and is an RVer’s dream. The house special comes with two sweets (pancakes or French toast), two meats (bacon or sausage) and two eggs anyway you’d like, all for a whopping $9.95. From omelets to burritos, side orders of country fried steak and chocolate chip pancakes, this place has it all. The diner is small and friendly and located near the West entrance to Joshua Tree National Park. Let this delicious diner hit the spot after a long hike in the park. Pro tip: Anthony Bourdain made his way here a few years back and gave his stamp of approval. Are you a coffee lover? When you RV, do you research the best local coffee spots in on your route? If you fall into this category, you have to make your way to Joshua Tree Coffee Company. 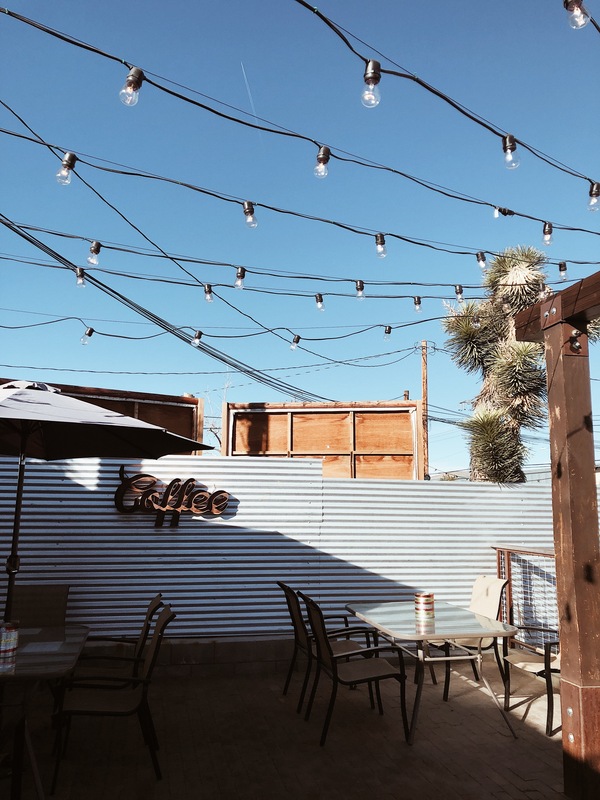 Tucked down a narrow walkway off a busy street in Joshua Tree is a fresh and delicious coffee shop. Obsessed with offering the perfect coffee, the owner’s of JT Coffee Co, “painstakingly source the highest grade certified organic coffee available. Exquisite coffee deserves to be roasted on an equally exquisite roaster, which is why we roast on a Loring.” Joshua Tree Coffee Company is local and sustainable. Each coffee bag label is hand cut with a 1930’s paper cutter, hand applied and filled with their fresh roasted coffee. That’s a company we can get behind! 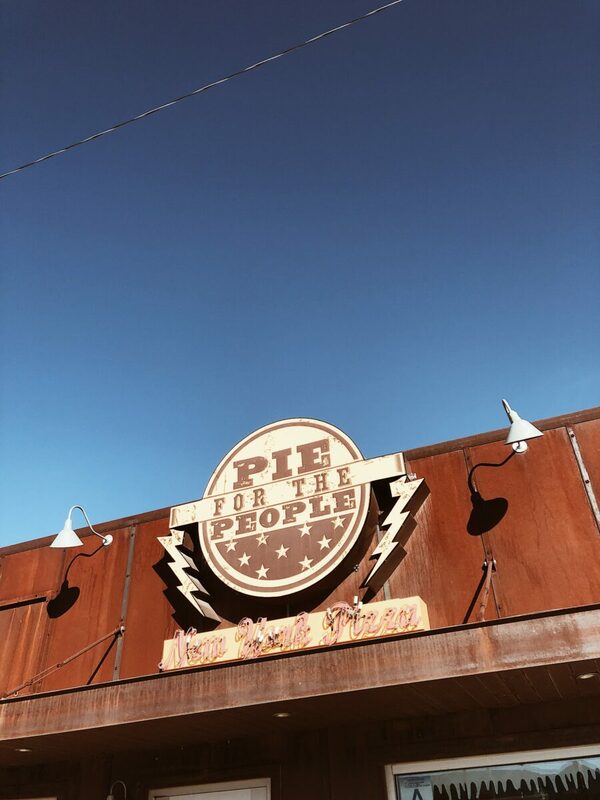 If you need more pizza, come to Pie for the People! This pizzeria offers authentic, delicious New York style pizza in the middle of the California desert. Calzones? Check. Salads? You bet. Specialty pies? With 18 options, how will you ever decide? This pizza shop is perfect for a to-go pie you can take back to your RV and grub on as the sun sets in Joshua Tree National Park. Check out the David Bowie, a white sauce pie packed with mozzarella, bacon, pineapple, jalapenos, Guinness caramelized onions and plum sauce. Don’t forget to order the honey cinnamon knots! 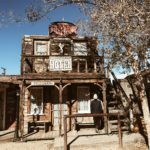 Want to learn the history behind Joshua Tree’s neighboring Pioneertown? 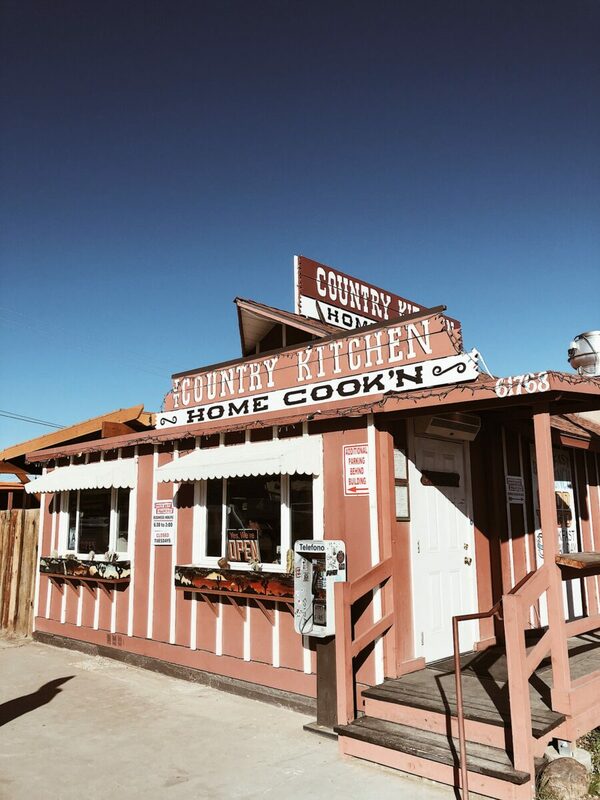 Check out our most recent post, Take A Nostalgic Trek into the Old West of Pioneertown and let us know in the comment section below where you love to eat when passing through Joshua Tree! 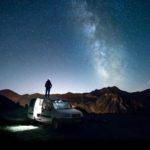 Hey Buddy!, I found this information for you: "For the RVer: The Ultimate Food Guide to Joshua Tree". Here is the website link: https://experiencelife.lamesarv.com/2019/01/for-the-rver-the-ultimate-food-guide-to-joshua-tree/. Thank you.